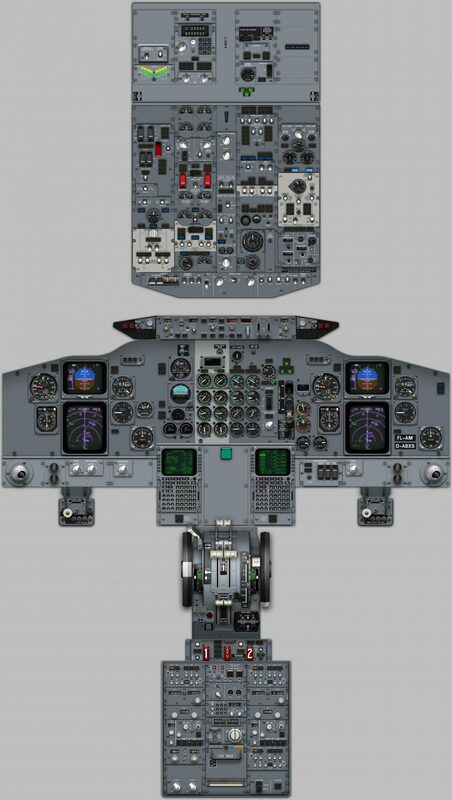 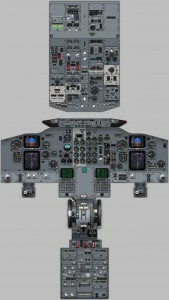 We have provided here useful 737 simulator cockpit layout diagrams which may help you get a head start prior to your simulator session. 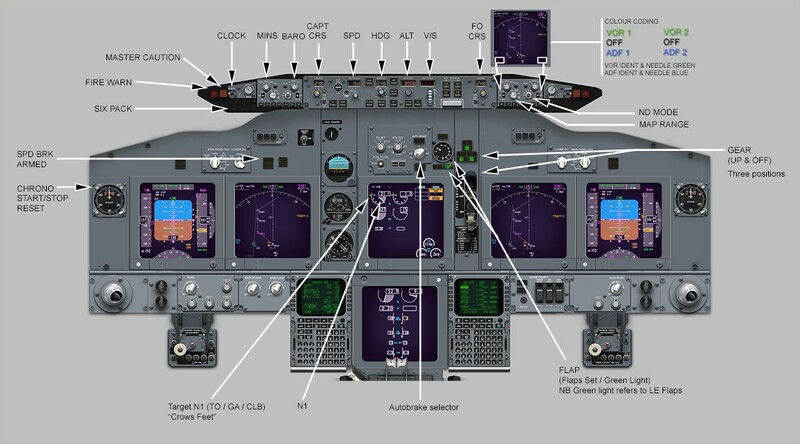 Checklist items are worth knowing location of before training details for non 737 type-rated pilots. 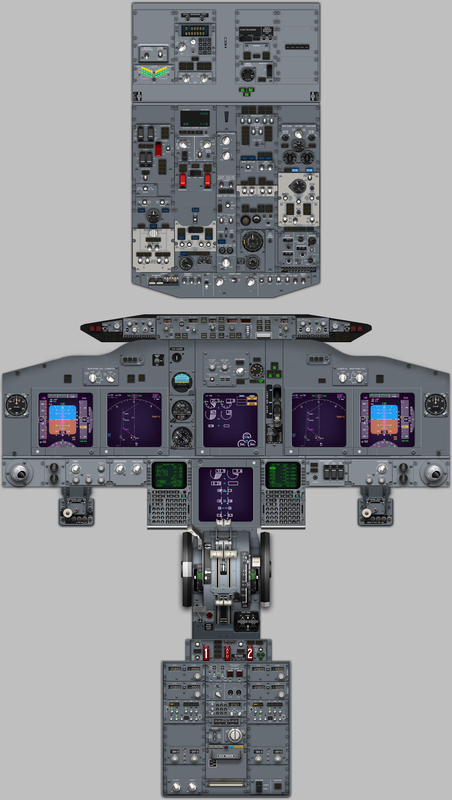 The pmflight 737 simulator is a high fidelity flight training device used by pilots throughout the UK and Europe to prepare for the airline simulator check ride preparation and general 737 training. 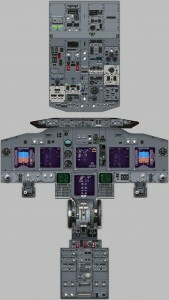 Over view of 737 cockpit layout for reference. 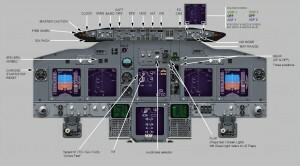 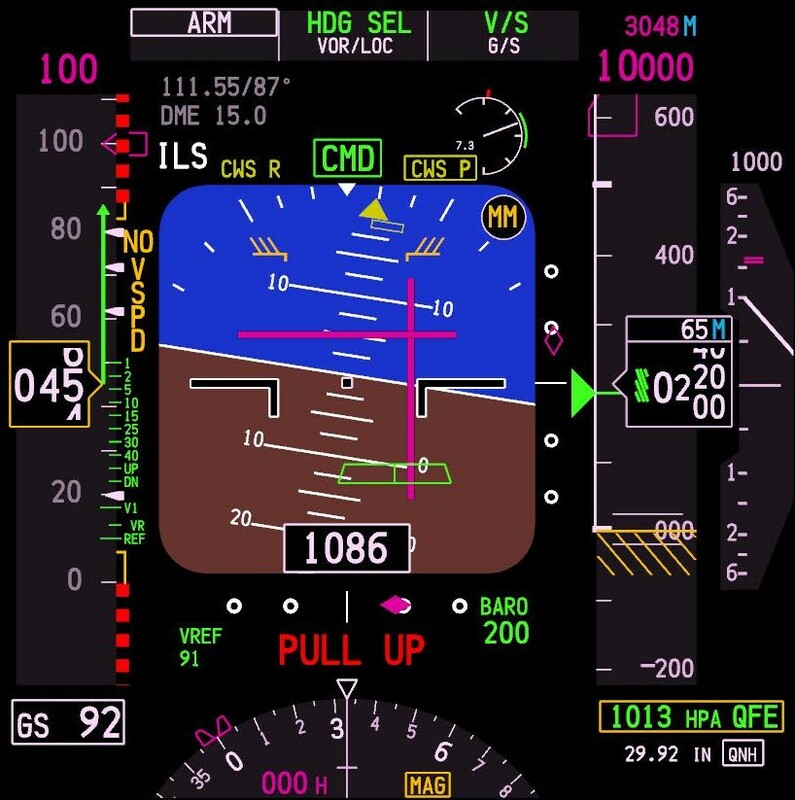 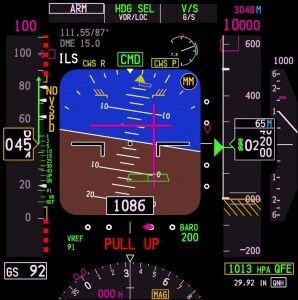 A diagram that shows all PFD indications, listed below useful to know for initial 737 simulator session especially if unfamiliar with the Boeing Glass Cockpit.